I spotted this beetle on the shore of Loch Drolsay during a walk in June 2015. I first thought it is a Common Black Ground Beetle, but then I understand they have grooves on their wings/wing covers? Any pointers what kind of beetle this is are welcome. This entry was posted in Freshwater Loch, Landscape, New Post, Wildlife and tagged beetle, Islay, Loch Drolsay by Armin Grewe. Bookmark the permalink. 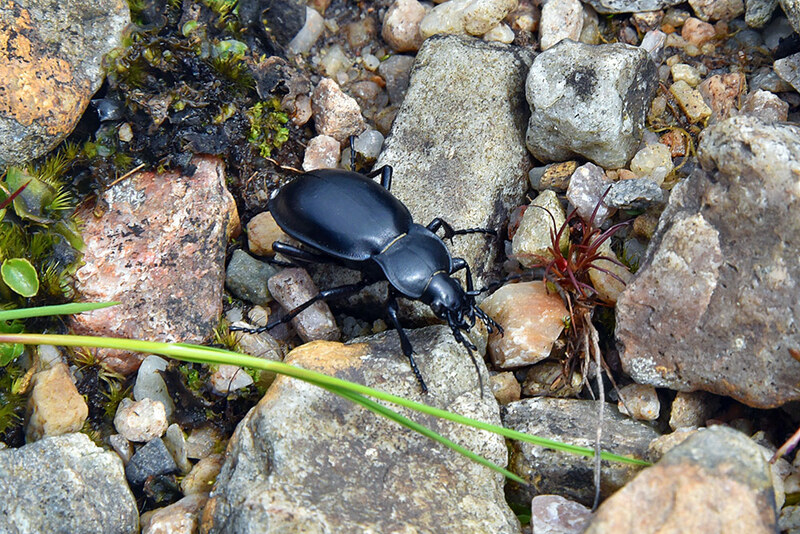 it looks like a violet ground beetle thewcg.org.uk/carabidae/0091… One flew into our cottage last summer – it was huge!